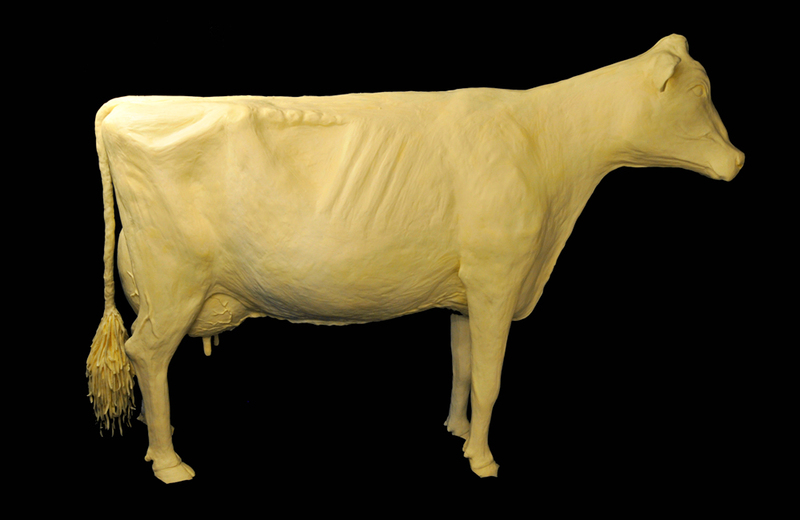 Butter sculpting is still big at the Iowa State Fair. Check out these Star Trek sculptures. Mark your calendars: CLOSE ENCOUNTERS OF THE THIRD KIND gets a theatrical re-release on September 1! Does size matter? Godzilla vs. Kong director discusses size difference between the two monsters. Hasbro celebrated the International Day of Friendship with the launch of new My Little Pony toy line. They set the standard: Taking a look back at Disney Parks milestones from years past. The fiercely precise world of competitive table-setting is a reality show in the making. Marvel has revived their collector’s stamps program, decades after shelving it. Keeping with their reputation as innovators, The LEGO Group is researching alternatives to plastics made from fossil fuels. Hitting up the Iowa State Fair for some butter sculpting and 7 other things we wanted to share with you this week. Catching up with Aaron Fechter, the inventor of Whac-a-Mole and animatronic robot band The Rock-aFire Explosion and 7 other things we wanted to share this week.